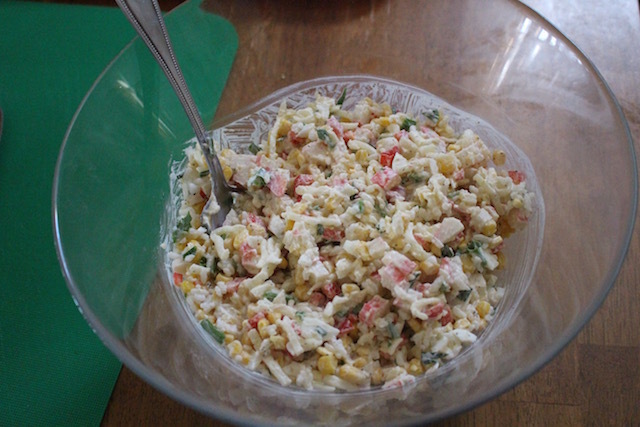 A combination of crab sticks, sweet corn & bell peppers, eggs, mozzarella cheese and rice are all tossed into a creamy mayonnaise, creating a delicious and creamy salad. 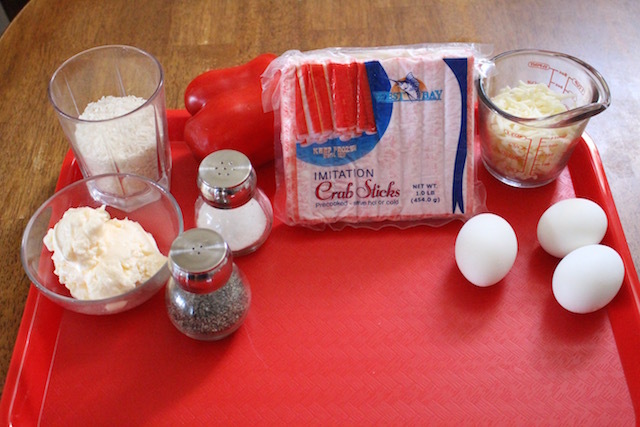 Dice the crab sticks, bell pepper and eggs. 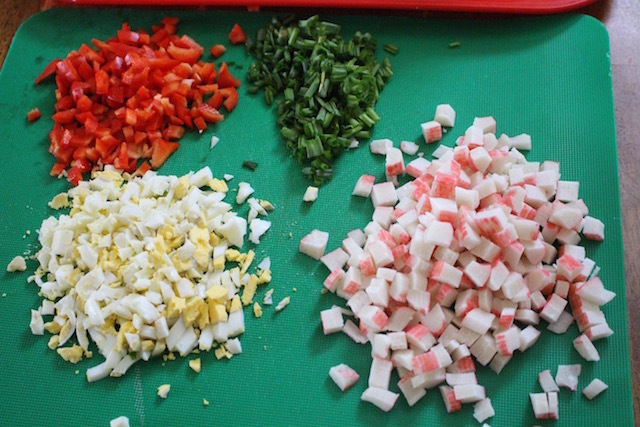 Finely chop the green onions and set aside. 2. In a large bowl add the cooked rice, sweet corn, cheese, diced crab meat, eggs and bell peppers. 3. 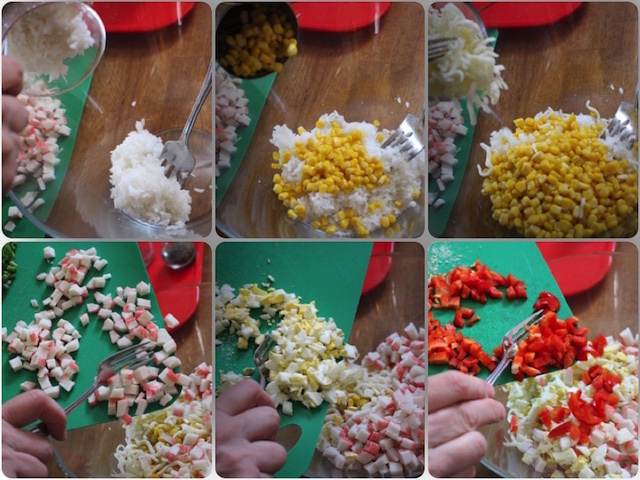 Then add salt & pepper to taste and the mayonnaise; mix all ingredients. 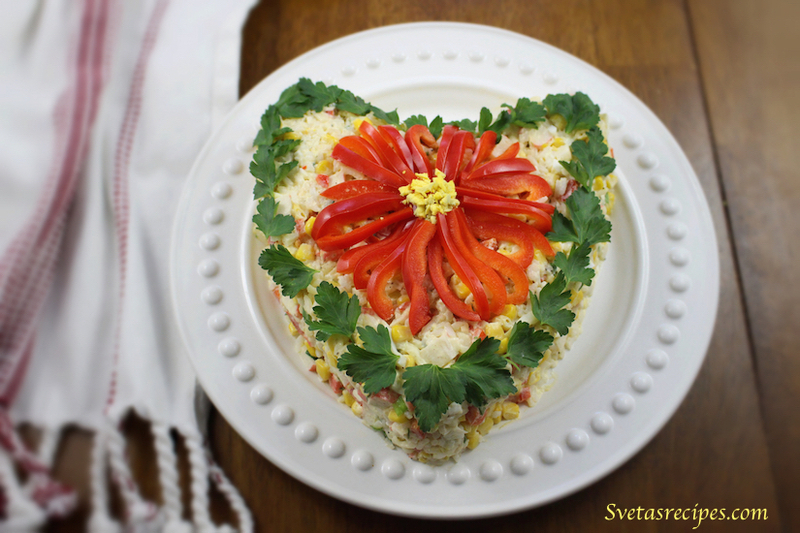 In a large bowl add the cooked rice, sweet corn, cheese, diced crab meat, eggs and bell peppers. 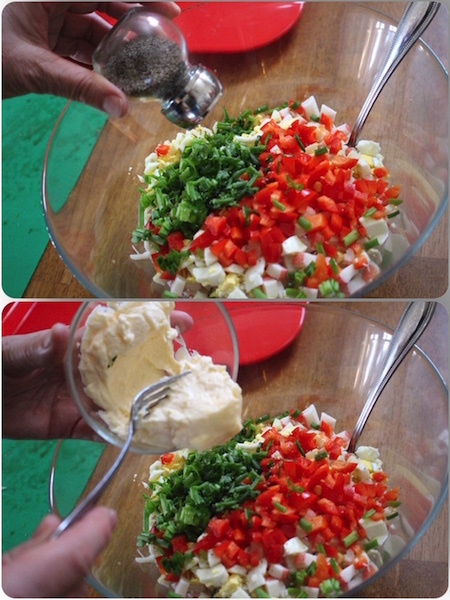 Then add salt & pepper to taste and the mayonnaise; mix all ingredients. This salad was so good! 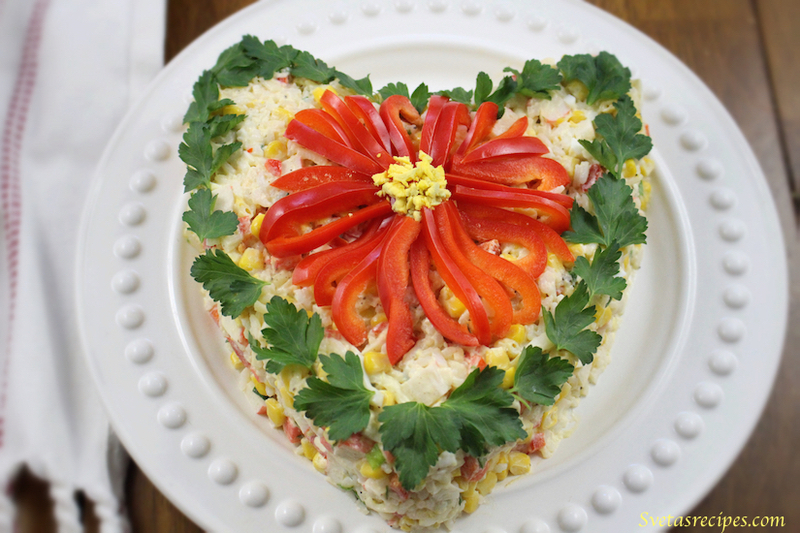 Perfect melody of veggies and nice texture from cheese and rice! Thanks for posting this!